Only one figure was seen walking through the darkness. 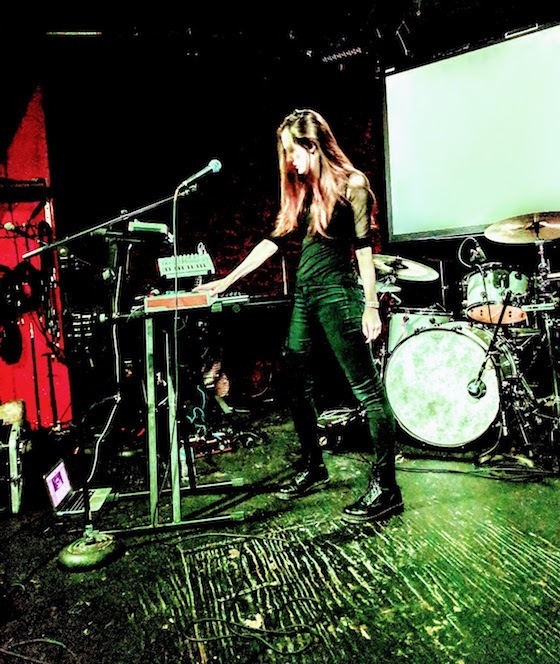 This woman, with long flowing hair and a gorgeous voice, stood ready at the keyboards. 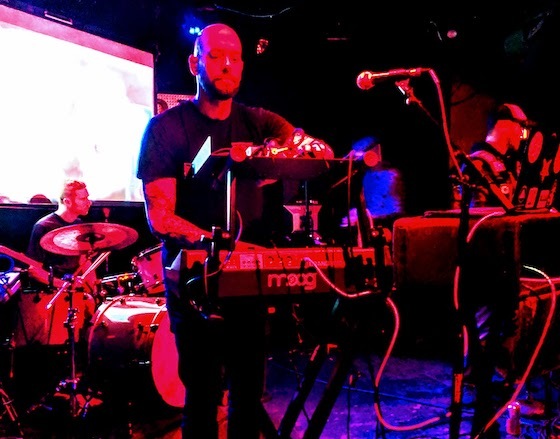 Glitbiter, hailing from Los Angeles, kicked off the two-nights of Echosynthetic Fest with a shimmering synth-led opening; the command of the stage was already in check. Her dreamy “Airship” was taking off. And, swept up in the emotion of the moment, I had to catch my breath: the song was a favorite of mine and had kicked off many a fine playlist I have made for myself and others. In fact, as I was sharing with her earlier in the evening, the song was the first I listened to on my flight to Atlanta. And now she was performing it LIVE. “I’m looking for stories,” she sang . . . Her set was a strong one, made perfect by the ease with which she took the stage. Even the crowd, some who had made the trek to Atlanta for two years in a row, commented on the confidence as Glitbiter, while the lights turned a bold red, dove straight into a cover of Peter Gabriel’s “Red Rain”. To say that she silenced us all with her performance is an understatement. Then the lights came up and all mouths hung open. She had a stunning effect on the audience. Those mouths would only be closed only by the cherry red keytar of Watch Out For Snakes. And for good reason. 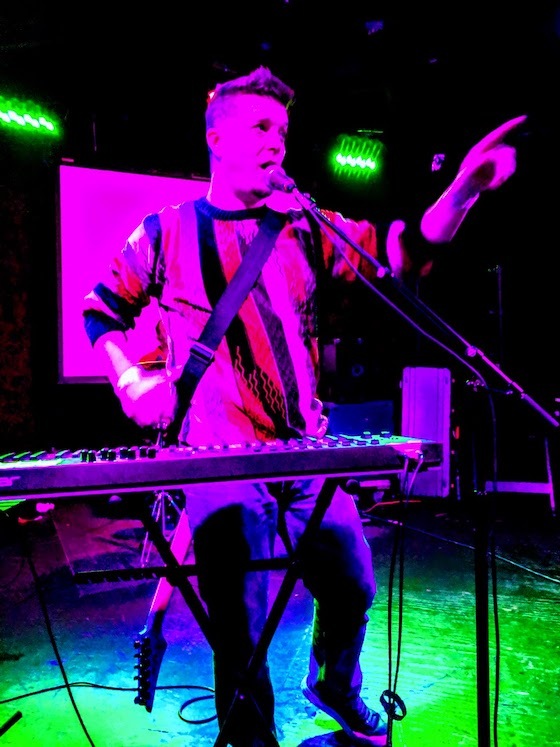 Stomping through an aggressive display of greased-up chiptunes and dark synth beats, Watch Out For Snakes simply destroyed the stage on Friday night of Echosynthetic Fest. He made it his own. 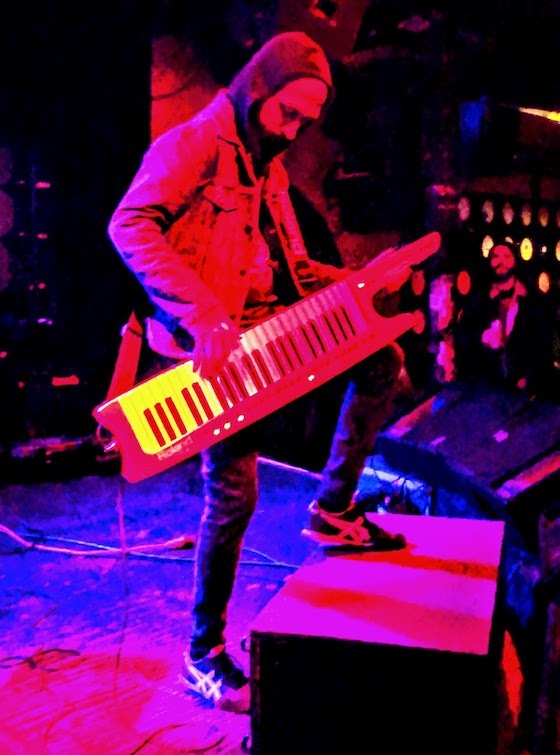 His fury was instantaneous and nonstop as he plowed through his set with keytar in hand. Heads were banging and hearts were pounding in response to “Torn” and his set remained lit. As drenched in sweat as the crowd was, it only took the first few minutes of Cemetery Gates’ haunted set to cool them down. 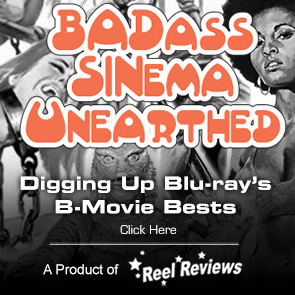 The performance, complete with live drums, was a blistering arrangement of vocalized songs. Mesmerizing and moody, the group ripped through their latest release, Slow Death, The Worse Is Over, and put the crowd, including myself, into a trance-like state where the pleading of “slow death, the worst is over” over and over became a rally cry. Leave it to Ethereal Delusions, with his sexually suggestive exercise videos and his on-point cover of Depeche Mode’s “Enjoy the Silence” to shake the audience free from the “Cemetery” spell. In merely a few short minutes, the crowd was spiraling with glee into the cosmic dreamwave that is this artist’s specialty. Look up Electrofunk in the dictionary and you could probably see a colorful photograph of Ethereal Delusions, with his pink hat and his blazing red beard, as the only definition provided (or needed). His performance, as he navigated between keyboards and the microphone, was a masterful expression of glitch and tonic IDM. In other words, for a Friday night as chilly as this one was, his performance was perfectly executed. 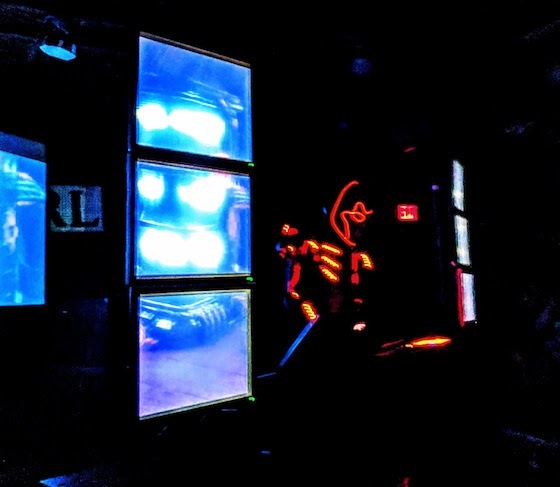 Glitch Black explains, “As an artist who performed at both the first and second Echosynthetic Festivals, it's been fascinating to see how other returning artists have evolved from a year ago. 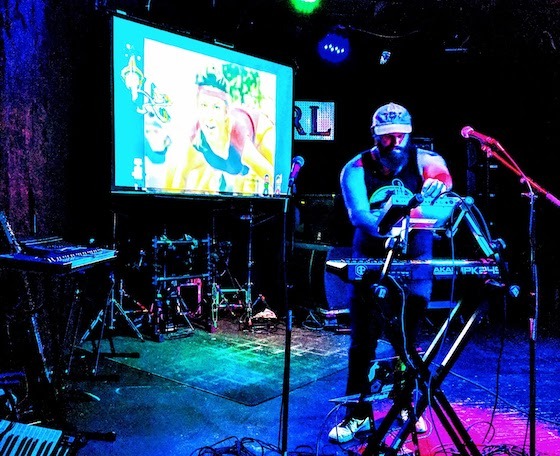 From holding a stronger stage presence to displaying better visuals, everyone continues to get better and better.” As far as I am concerned, his thoughts expand to himself because Glitch Black, in full regalia, whipped the crowd into a righteous fury. With his closing, there was only the headliner left: Vampire Step-Dad. The cool! The charisma! The sweater! The guitar! Uncle Steve! And the songs! Vlad did not disappoint. He was upbeat, had great banter with the audience, and made the audience dance their asses off. His set, featuring “The Skating Rink” and “Night: Shift Theme” was simply unstoppable. So, too, was his enthusiasm for the crowd and their energy. His parental love was felt by everyone in the audience and made for one hell of a nightcap on the opening night of EchoFest 2018. 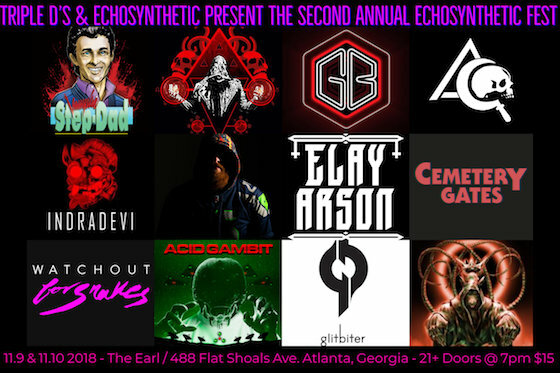 As stated by Ethereal Delusions, “Echosynthetic did an amazing job setting the festival up and put us all in a position to make us look fantastic and have an amazing time.” For my money, that extended to the audience as well. Everyone was smiling. Everyone looked great – especially those in sequin capes – and, yes, Saturday night would have to bring it hard in order to match the intensity and sheer awesomeness of the opening night. Don’t worry, kiddos, Saturday night’s line-up, including a blistering performance from the night’s headliner Gregorio Franco and the EPIC live debut from Unholy Rat King, was definitely up to the challenge . . .